The difference between innovation, commercialisation, business, and exit? 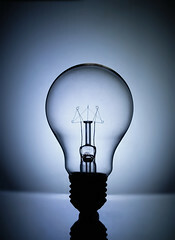 Light bulb: business or innovation? With tax incentives such as SR&ED and the promise of financial freedom from owning a business, more Canadians are looking to entrepreneurship as an alternative or supplement. However, does it start with a business, or does it start with innovation? What is the difference between innovation, commercialization, business and exit? An improved electric light bulb was developed and patented at the CIPO and USPTO by a University of Toronto medical student and a hotel keeper from Toronto – Henry Woodward and Mathew Evans. This is innovation. Woodward and Evans were not able to further develop their invention (was it lack of vision, drive or money?) and later sold the intellectual property to Thomas Edison. This is exit. Edison experimented with many filaments. He refined the product and prolonged the burning of the filament from 13.5 hours to 40 hours, then to 1200 hours – making it practical and profitable in the marketplace. This is commercialization. USPTO then ruled Edison’s patent was invalid due to prior art. After years of litigation, his patent was granted based on one key clause. This is business. Here at MaRS, we work to commercialize innovation and lead businesses to successful exits. If you would like to learn more about how we can help you, read about our advisory services here. We’ve also posted videos on Vimeo about that might help: “Types of entrepeneurship” and “Intro to technology commercialization” — both part of our Entrepreneurship 101 program that will start up again in the autumn.